Moroccan forward Nordin Amrabat declared on Monday that he was "proud" to be participating in the upcoming Olympic Games with Morocco's U-23 team. The 25-year-old forward, who had played for Turkish outfit Galatasara, was called up as one of the over-age players for the Moroccan side. 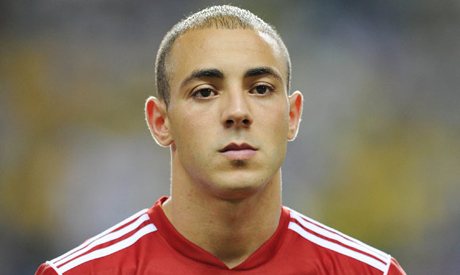 "For me, playing in the Olympic Games is a greater honour than playing in the World Cup," Amrabat was quoted as saying by Moroccan magazine Mountakhab. "The Olympics gathers the greatest athletes in the world," he added. "I think it represents the highest honour for any athlete." Morocco is slated to play in Group D, along with Spain, Japan and Honduras. The Moroccan international – who opted to play for Morocco after playing in Dutch national youth teams – went on to reveal that the most important thing for him was to play for his native country. "Four years ago I had to participate with the Netherlands in Beijing 2008, but at the last moment I was unable to play," he recalled. "With all due respect to the Netherlands – who formed me as a footballer – playing for Morocco is different."